Look effortlessly chic in this lightweight, relaxed fitting stripe top by Open End. Cut from a soft and breathable fabric, this top is designed to keep you stylishly serene in the sun. This piece features a timeless stripe pattern, giving minimal looks a subtle edge of high fashion! An ideal pick for your off-duty days, you can add this top to your list of essentials. 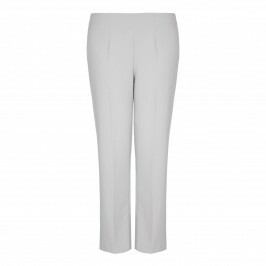 Pair with relaxed trousers and T bar heels, both in white, for a simple yet sophisticated look. Lightweight knit striped short-sleeved sweater. Hand Wash or Dry Clean. 60% Ramie, 40% Acrylic.